Boardmatch is a leading National Governance Charity in Ireland, supporting the development of the Not-For-Profit sector (the Community & Voluntary sector) by strengthening boards and management committees. Boardmatch is the only Irish Charity that specialises in matching individuals to the skill gaps on Not-For-Profit boards. We do this by providing services and support to Not-For-Profits and charities to help them improve and strengthen their board composition. We believe the right balance of skilled voluntary trustees provides a Not-For-Profit with the necessary skills to respond to changes, meet the challenges of the sector and to achieve their strategic objectives. A FREE online matching service matching individuals from the corporate/public sectors to Not-For-Profit boards. A bespoke Board Search service for not-for-profit organisations. A range of training and consultancy services to the not-for-profit sector on Good Governance practice. Developing and providing training packages and other supports for boards. Providing advice, support and guidance on Governance. Our core objective is building the governance capacity of not-for-profit boards. We have over 1,300 not-for-profits using our services and have placed over 2,500 candidates onto not-for-profit boards. Boardmatch Ireland was established in 2005 to address the skills needs of the governing bodies of Not-For-Profits. It was established by a strong board including Mary Redmond of Arthur Cox, Sarah Toale of Bank of Ireland, Roger Acton of ACCA, Kieran Loughran of the Disability Federation of Ireland and Mary Davis of Special Olympics. Both Mary Redmond and Mary Davis were members of the Task Force for Active Citizenship formed in 2006 by Government to address the lack of citizens getting involved with Community and Voluntary activities. The Boardmatch model for the process of matching skill sets is often found in the Corporate world. Boardmatch was established to bring this concept into the Not-For-Profit sector in Ireland. To date, Boardmatch Ireland has facilitated the appointment of over 2,500 individuals to the boards of Not-For-Profits. Eva is CEO of Boardmatch. She is a graduate of the National University of Galway with an honours degree in Economics and Social studies and is also a graduate of National University of Ireland, Maynooth, Addiction Studies. Eva is currently completing a Masters in Management and Corporate Governance through the University of Ulster. Eva joined Boardmatch Ireland in March of 2011 as the Corporate Services Officer and became Executive Director in 2016. In July 2018, Eva became CEO of Boardmatch. She has always had a keen interest in the not-for profit sector and the area of governance was a new and exciting space growing profile in 2011. Eva main role as CEO is to implement Boardmatch's strategy as set by the board. Helen joined the Boardmatch Ireland team in December 2016. She has a degree in Social Science and a Postgraduate Diploma in Career Guidance and Development. 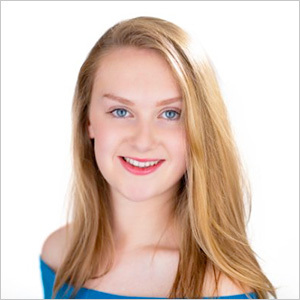 Helen has a keen interest in the charity sector having previously volunteered in charities in Ireland and Uganda. Helen manages the Premium Search Service, assisting charities to find a suitable trustee for their board. 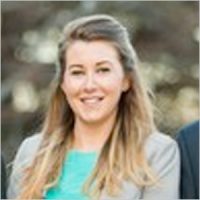 Hannah joined the Boardmatch Ireland team in March 2017. She graduated from UCD with an honours degree in English with Film Studies. She has substantial experience volunteering in the arts sector and with charities in Ireland and abroad. Hannah oversees all aspects of Boardmatch’s marketing and communication, as well as the free matching website for candidates and charities, board training, and board effectiveness reviews. Orla is a graduate of UCD where she completed an MA in politics. She has lived and worked abroad for many years but is now delighted to be back living in Dublin. She has over 20 years’ experience in HR and Recruitment in both the commercial and not for profit sector in Ireland and the UK. Orla has worked with Boardmatch since 2011 as an expert in leadership development programs and is passionate about the benefits of appointing commercially experienced individuals to the boards of charities. 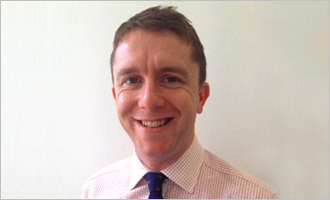 Mike McDonagh is a Senior Business Director with Hays, the specialist recruitment firm. He joined Hays in 2002 in London after he completed his degree in History at the University of Sheffield. Mike is responsible for the Executive, Accountancy & Finance, Construction & Property, Human Resources, Procurement, Multi-lingual and Office Support specialisms within Hays’ business in Dublin. He is a long-suffering supporter of his beloved Preston North End, a keen cyclist and 5-a-side footballer, occasional golfer and father of 2 children and husband to Aifric. Currently learning to speak Irish through osmosis! Sarah O’Connor is Head of Sport at Wilson Hartnell. Previously she was the Executive Director of the Federation of Irish Sport, the National Umbrella Federation for sporting associations in Ireland. Prior to her involvement in the sports sector, Sarah enjoyed a successful legal career and was a Solicitor in Arthur Cox for a number of years where she specialised in the commercial property/financial services sector. She is also the Registrar at Just Sport Ireland and serves on the boards of Dublin City Sports Network and South Dublin County Local Sports Partnership. Anne is a strategy and organisational development specialist, with twenty years experience implementing strategic and operational change programmes for international corporate and not-for-profit organisations – including IBM, PA Consulting and a number of Irish and international charities. Anne currently supports an International NGO, Solidarity Projects, as Development Director. Solidarity delivers teacher training, health service training, and infrastructure development in East Africa. Anne brings twenty plus years experience managing new teams and new processes working from Europe, US, Asia, and East Africa. Brendan is Head of Supervision in the Anti-Money Laundering Division at the Central Bank of Ireland. A Chartered Accountant, Brendan has worked in the financial services sector as an Internal Auditor, External Auditor and Financial Services Regulator. Brendan holds a Diploma in Corporate Governance from the UCD Michael Smurfit Graduate Business School. Brendan is a member of the Boardmatch Ireland Finance Committee. David Owens is the CEO of An Óige, the Irish Youth Hostel Association, since 2000. He is an accountant (F.C.C.A.) and also has degrees in Law and Economics and a Masters in International Relations. He has recently completed a Certificate in Charity Governance in the Law Society. His past directorships include, Gaisce and the National Youth Council of Ireland (NYCI). He is a member of the Boardmatch Ireland Finance Committee. Fred founded DoneDeal.ie in 2005 together with his wife, Geraldine, and grew it into Ireland’s biggest web site for buying and selling second hand things. Having sold DoneDeal to an international media group he is now an early-stage investor in online businesses. He is a non-exec director with a focus on product & market fit, data analytics, and growth. Originally from Sweden, he first moved to Ireland in 1997 and is now based in Wexford town. Felicity McGrath, Global Planning Director with Irish Distillers Pernod Ricard. An FMCG Strategist and Organisational Development Specialist with over 20 years expertise in the delivery of Global and Local Brand & Portfolio Strategy, and Organisational Renewal and Transformation, to drive value creation and revenue growth. Felicity is currently the Global Planning Director (e.g. Jameson, the No 1 Irish Whiskey globally, enjoying its 28th year of consecutive growth). Her experience includes Brand Marketing and Commercial Experience including Director positions held in Ireland and Germany. In addition, she has led many Change Management projects across Marketing and Sales teams. She holds a Masters in Business (Leadership & Management Practice) from UCD, and a Bachelor of Business Studies from TCD. She has worked previously for Henkel, IDA and the Irish Trade Board, and speak German and French. Denise Fitzgerald was appointed Chief Executive of Children’s Health Foundation (CHF) in February 2019. Established at the beginning of this year, CHF exists to support Ireland’s sickest children in Temple Street Children’s University Hospital and Our Lady’s Children’s Hospital Crumlin on every step of their treatment journey as well as investing in treatments and cures through National Children’s Research Centre. CHF is now the largest fundraising charity in Ireland supporting sick children. Prior to her appointment, Denise held the position of Chief Executive in Temple Street Foundation since 2005. She has also held senior roles in financial services, focusing on risk, lending of both core and specialist products, business development and relationship management. She currently serves as Director with Board Match Ireland, Charities Institute Ireland and is also on the Council of the Dublin Chamber of Commerce. Denise holds an MBA from the UCD Smurfit Business School, ACCA Diploma in Accounting and Finance as well as a BA in Business & Finance from the University of Ulster. Martina is a financial services professional with over 20 years' experience in banking and finance. She is currently the Head of Strategy in the Risk Function in AIB. Previous roles have included the Head of Internal Audit in NTMA and a range of roles in the Bank of Ireland Group in risk, strategy, lending and audit. Martina also previously worked in KPMG and Deloitte (London). Martina is a Chartered Accountant, a Fellow of the Institute of Bankers, holds a Diploma in Company Direction (IoD) and is a Law graduate from University College Dublin. Boardmatch Ireland is a company limited by guarantee not having a share capital, registered in Dublin, Ireland (company number 400151). Boardmatch Ireland is registered with the Charities Regulatory Authority, Registered Charity Number (RCN): 20058968. Boardmatch Ireland is also a registered charity with Revenue (CHY number 16398). It is Boardmatch Ireland’s policy to promote openness and transparency. Boardmatch are compliant with the Governance Code for Community, Voluntary and Charitable Organisations. Boardmatch are currently reviewing our governance in line with the Charities' Regulatory Authority's Code of Governance, to ensure our compliancy for the next reporting year. We have also adopted the use of Charities SORP (FRS102) in our financial statements. The Finance, Audit, and Risk Committee meet bimonthly. The Governance Committee meet quarterly. Once an individual candidate or not-for-profit organisation registers on our Free Matching website, they fall under the terms and conditions of said website. Both candidates and organisations have the ability and right to notify Boardmatch at any time, by phone (01-6715005) or email (hello@boardmatch.ie), should they wish to have their profile deleted from the Boardmatch database. By registering with Boardmatch Ireland, the user consents to receive information from Boardmatch with regards to the management of their account, and the services Boardmatch offers to assist candidates and organisations with good governance, i.e. our board training and review service. Boardmatch will not contact any website users about anything other than relevant information about boards and voluntary directorships. Boardmatch has the right to remove candidates’ information from the website if they are no longer active on the service. If a candidate has not logged in to the Boardmatch platform in 12 months or more, Boardmatch will deactivate the candidate’s profile. If a candidate has not logged in to the Boardmatch platform in in 24 months or more, for data accuracy reasons, Boardmatch will delete the candidate’s details from the website. Boardmatch will keep a record of the date of all data changes and deletions from the database. Boardmatch also has the right to remove board vacancies from the website if we deem the information to be no longer accurate or the organisation ceases communication. To ensure accuracy and consistency of information, if you wish to DELETE your Boardmatch Profile, please contact the Boardmatch Ireland team at hello@boardmatch.ie. If you wish to change your login details, please contact the Boardmatch Ireland team. Should an individual wish to submit a Subject Access Request, they can do so in writing by post or email. For further information on our Governance, GDPR, Policies & Procedures, please visit contact the Boardmatch Ireland team at hello@boardmatch.ie.